TORONTO — Sydney Pickrem wanted to make Canada's team for three events at this July's FINA world championships. She did more than that, setting a new national record. Pickrem won the women's 200-metre individual medley in two minutes 8.71 seconds on Sunday at the Canadian swimming trials, breaking her former record of 2:09.07 she did at last summer’s Pan Pacific Championships where she won silver. "Coming into it, I wanted to make three events on the world team and I made my three events so, the timing is just the icing on the cake," Pickrem said. It was the third victory at the trials for Pickrem, who was born in Florida and holds dual citizenship. Earlier in the week, she finished first in the women's 400-metre individual medley. She also set a new Canadian record in the 200-metre breaststroke. Her latest Canadian record took place at the Toronto Pan Am Sports Centre, the sight of her very first Canadian record back in 2015. "It was here in the morning. I don't know why but I remember it was 2:11.72, I have a weird memory," Pickrem said. "It's just crazy to look back on Pan Ams and I was so excited with that time that to come with 2:08.71. I'm very happy with that." With her spot at the worlds now locked up, Pickrem will shift her focus. A lengthy battle with mononucleosis hindered her results in 2018. Previously, Pickrem had won bronze in the 400-metre individual medley at the 2017 FINA Worlds. "I just remember being tired and exhausted and now I'm thinking about my break and I don't want to take a huge break because I'm just excited to get down there," Pickrem said. "I'm just ready for the summer." Joining Pickrem at the worlds is Mackenzie Paddington. The Campbell River, B.C. 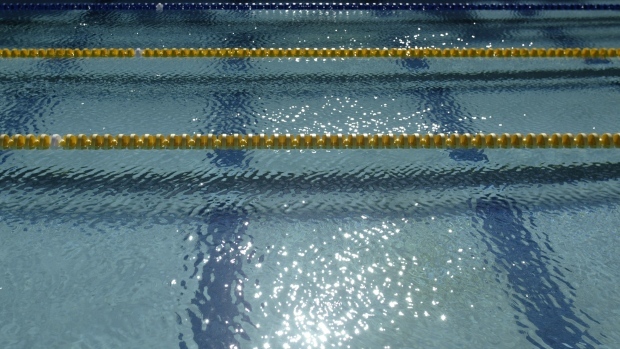 swimmer won the women's 800-metre freestyle with a time of 8:36.38. Finlay Knox won the men's 200-metre individual medley with a new personal best time of 2:01.30, but was unable to beat the cutoff of 2:00.22 to qualify for the Worlds. Taylor Ruck and Penny Oleksiak were scratched from the women's 50-metre freestyle after competing in events earlier in the week. Oleksiak won gold in the 200-metre freestyle on Saturday. Yuri Kisil narrowly missed out on qualifying for worlds in the men's 50-metre freestyle after he finished at a time of 22.23. The cut off time was 22.18. Markus Thormeyer was scratched from the race after a dominant week in which he picked up four gold medals. Margaret MacNeil won the women's 50-metre freestyle with a time of 25.40, but failed to qualify for worlds. Peter Brothers won the men's 1,500-metre freestyle with a finals time of 15:27.16, missing the worlds cutoff time by over 20 seconds. In para swimming, Aly Van Wyck-Smart broke the Canadian record in the 150-metre individual SM2 with a time of 4:50.33. Nikita Ens broke the Canadian record in the 150-metre individual SM3 with a time of 4:38.50. Nicolas-Guy Turbide won gold in the men's 50-metre multi-class. Aurelie Rivard won gold in the women's 50-metre multi-class. Alec Elliot won gold in the men's 200-metre individual medley multi-class. Samantha Ryan won gold in the women's 200-metre individual medley multi-class. More than 600 swimmers took part this week for spots on six Canadian teams: the FINA world championships, the world para championships, the Pan American Games, the Parapan American Games, the FISU Summer Universiade, and the FINA world junior championships. Canada will send a total of 25 swimmers (13 men, 12 women) to the world championships. Kylie Masse, the reigning world champion in the 100-metre backstroke and an Olympic bronze medallist, was also added to the roster.